Even if your hair doesnt have a hint of curl, create fun waves and curls with Curl Construct Mousse. Rock your curls with a head full of gorgeous, moisturized, 24H. 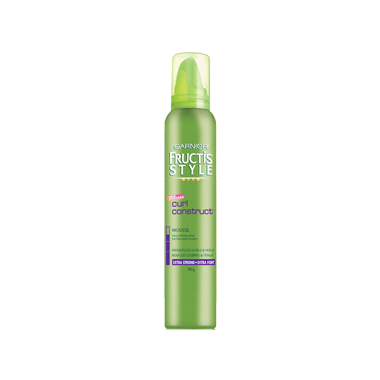 It’s enriched with nourishing shea to lock in the moisture and keep your newly defined curls all day long. So let your curls go, and get ready to turn heads! This product did not do what I wanted which was to have my hair dry in a certain way and stay that way. On a positive note, it does not make my sticky.